John Aldridge understands that the England international may be getting frustrated, but believes Jurgen Klopp will keep him until at least next summer. THERE IS “NO way” that Jurgen Klopp will sanction the sale of Daniel Sturridge in January, former Liverpool striker John Aldridge believes. The England international finds himself on the fringes of the fold at Anfield, having been restricted to just four Premier League starts this season. Roberto Firmino has often been preferred as a central striker for the Reds, with the Brazilian’s work rate edging him to the top of the pecking order. Sturridge is yet to open his 2016-17 goal account in the English top-flight as a result, sparking reports that he could be set to move on during the winter transfer window. Aldridge, though, feels that a Liverpool title challenge will be built on strength in depth and sees little logic in parting with a proven goalscorer whom he says still has plenty to offer the collective cause. He wrote in a column for the Liverpool Echo: “There is no way Liverpool can devalue their squad until the end of the season in my eyes. You need backup if you’re going to have a serious go at the top four and possibly the league. The situation can easily change – a slight injury to a forward and all of a sudden Daniel is in the team and if he scores a few goals he can take on the mantle. That’s the way football is. “But you have to have cover so there is no way I think that Jurgen Klopp would let him go, personally – even if he wanted to go. Sturridge has netted six times this season, but those efforts have come in either the EFL Cup or for England. Regular rounds of rumours have linked him with a possible switch to several clubs, with Tottenham and West Ham considered to be the more likely Premier League rivals to launch a raid on the Liverpool striking ranks. Email “'Even if Sturridge wants to leave, Liverpool won't sell'”. 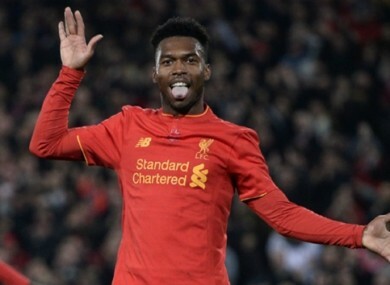 Feedback on “'Even if Sturridge wants to leave, Liverpool won't sell'”.